Democrats say there’s an opportunity to have a serious conversation about fracking and other water quality issues. “Now that there’s a little more attention, this gives us an opportunity to go to our colleagues and say, hey look, here’s another threat, here’s another problem,” said state Representative Jeff Irwin (D-Ann Arbor). Among other things, the bills would require companies to disclose the chemicals used in the fracking process. They would also place a moratorium on new fracking permits until stricter regulations are in place. State environmental officials say the practice has never cause environmental damage in Michigan, and that current regulations are adequate. A group is collecting signatures to put a fracking ban on the November ballot. On the 1st Friday of every month, WEMU allots nearly 20-minutes to dedicate to a topic of environemtnal importance. David Fair co-hosts the segment with Lisa Wozniak. Lisa is the Executive Director of the Michigan League of Conservation Voters. Their guest, this time around, is Jacque Rose, and the topic of discussion is the controversial process of hydraulic fracturing, or "fracking." Jacque is a paralegal who has specialized in civil litigation in Michigan for 27 years. She first became interested in fracking related issues when land leasing agents descended on the tri-county area of the AuGres-Rifle Watershed in Northeast Michigan where she resides, especially in connection with potential threats to water resources. She co-founded the Friends of the AuGres-Rifle Watershed: a volunteer group dedicated to educating the public and government officials responsibly about the potential risks associated with deep shale high volume hydraulic fracturing. The group gives presentations, holds public meeting forums, and provides research materials and information to other groups throughout Michigan concerned with fracking issues. Jacque's leadership and activism has landed her a nickname: "The Erin Brockovich of Fracking." 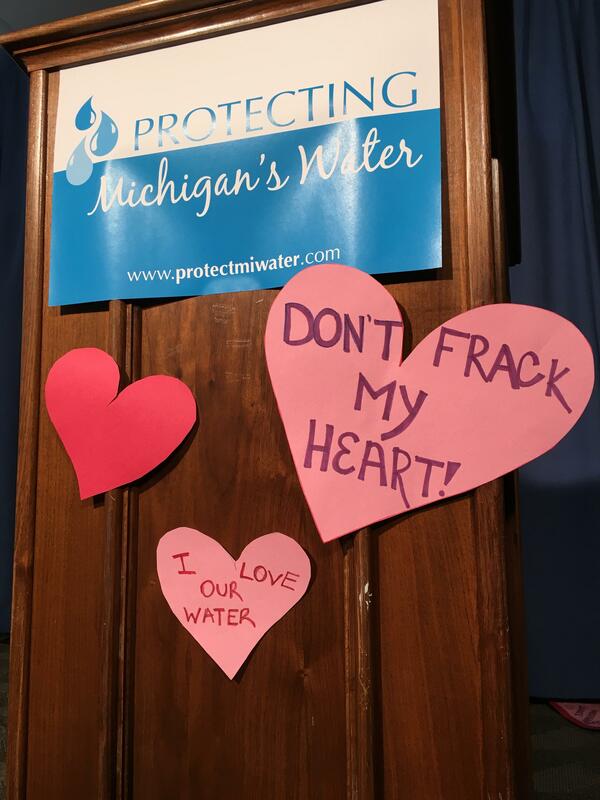 The Michigan League of Conservation Voters says now is the time for those concerned about how the state regulates hydraulic fracturing to speak up. The Michigan Department of Environmental Quality is holding public hearings to get input on proposed rules regarding "fracking". 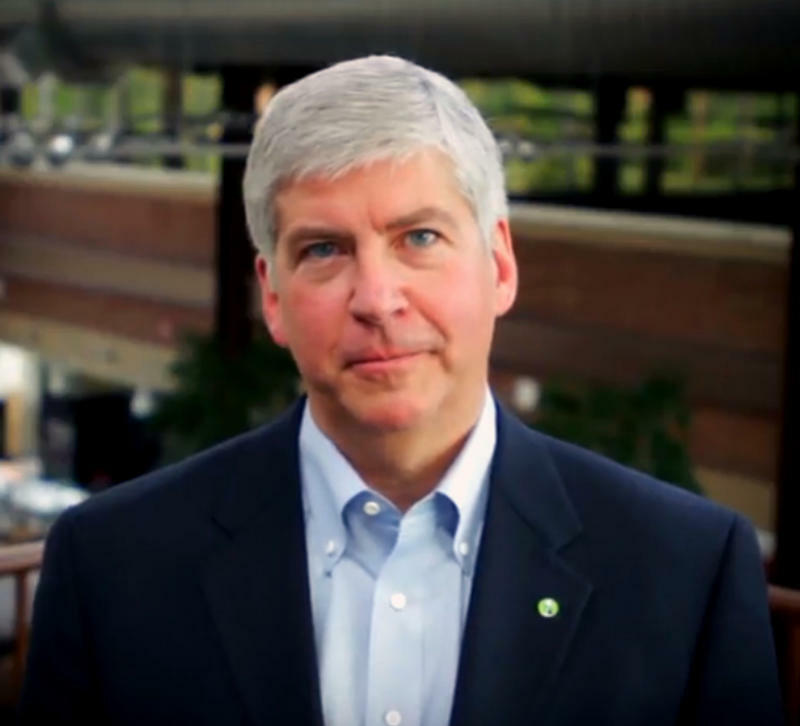 Jack Schmitt is deputy director of the Michigan League of Conservation Voters. He says the rules as proposed fall far short.